With the effect of demonetization in India, nearly 57 people have lost their lives in the chaos created. It has become week for millions in India. 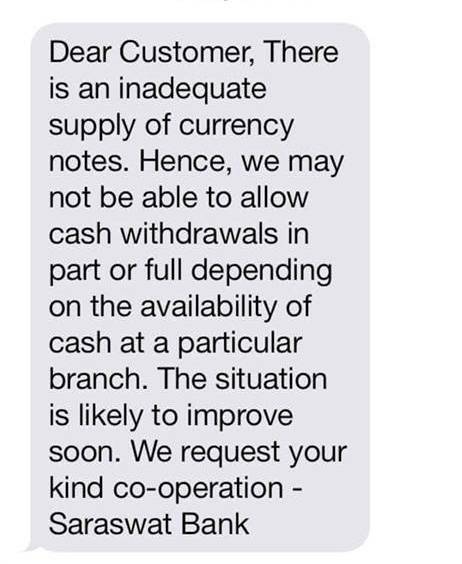 11 days after the Narendra Modi-led government decided to demonize 86% of Indian currency notes by value, many are still braving the cold and heat outside thousands of ATMs across the country, many of which have gone dry cash transactions, on which, India tastes the developing economy in the world, has come to stand still and the country's GDP is expected to take hit in the current quarter. Detractors have summed up the lack of planning - the liquidity crunch remains quite severe - and raised doubts about whether such a move will really kill the counterfeit currency market besides the black money market , since those hoarding wealth are more likely to hold , in real estate or gold , rather than in currency. According to Richard Quest, one of the renowned economists, " PM MODI’S DEMONETISATION DECISION DOESN’T MAKE SENSE: CNN’S RICHARD QUEST." According to Mauro F. Guillen, a Wharton management Professor and director of the school's Lawler Institue. " In the short term the move could stifle some business and that are legal and clean if they use cash payments. And while it can hurt some small business and individuals." Mr. Rajesh Chakrabarty, professor and executive vice dean of the Jindal Global Business School at Jindal Global Univesity quoted " Black Money isn't synonymous with corruption, it is rather severe symptoms of corruption." Pointing out that only a small percentage of unaccounted wealth is held in cash, Chakrabarti says," This intervention is a one-time drawing of the current stock of black money but unless the root causes of corruption are removed, corruption will continue. Also Read: How Demonetization Failed Miserably Internationally ? With sort of dialysis , more of a short term cleaning up than a solution. He cautions that the "resulting disruption in the real economy stemming from this move is very significant and potentially fatal" for some vulnerable sections of the society. If some of the key areas are hampered , there is a risk of mob violence and rioting. 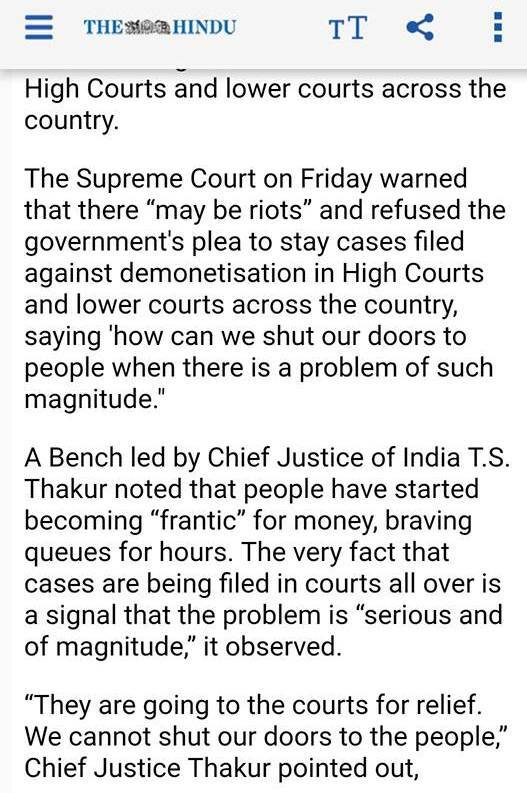 Since the entire country is at risk of the situation of getting out of hand as well. Due to this value of Rupees has declined from 66 on 8th of the November to 68 now. The stock prices have gone down. 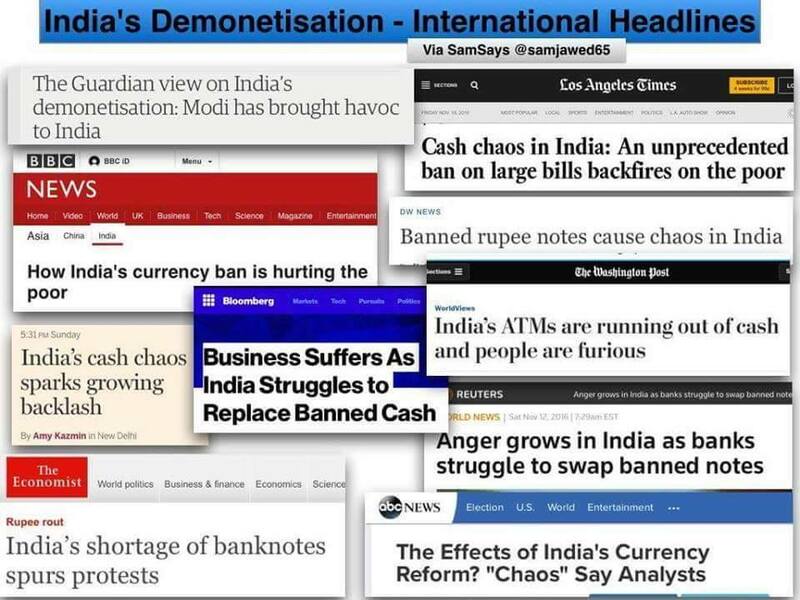 And Government of India is changing in norms of demonetization day per day like a Chameleon changing its color. 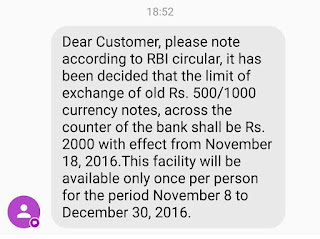 Now the limit of exchanging money has been reduced to Rs 2000. 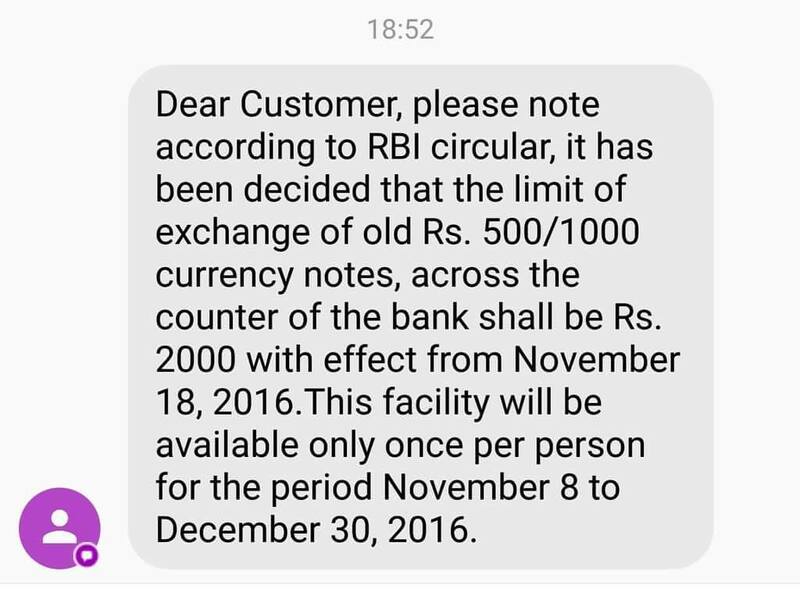 Can anyone from Government justify how many does Rs 2000 last for? Is it enough fight with the current prices of articles in the market? 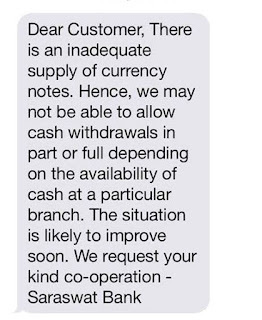 Most of the banks have even sent the messages that currency stock in their banks has finished. 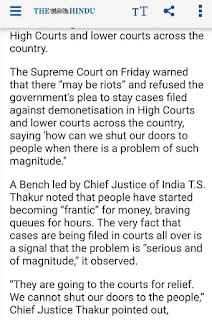 With such an ecstatic plan and disastrous backup plan even the High Court and Supreme Court have asked the government to take measures to control the chaos created.